If you have a missing tooth or multiple teeth, dental implants are a lasting solution. 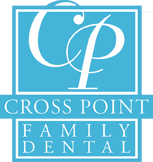 Crosspoint Family Dental offers implants in the Billerica, MA area that will strengthen your mouth and allow you to smile more confidently. Implant technology allows us to create a new, healthy smile. In order to have one of our doctors begin the implant process, you need to have healthy gums and adequate bone to support the implant. Oral hygiene is very important and you must be committed to regular dental visits to ensure lasting success. Dental implants are long lasting, look natural and are very successful. With over 60 years of combined experience, Dr. Peysakhov and Dr. Turkenich want to help you choose the right dental procedure for you. Implants are generally less disruptive, more comfortable and visually appealing. Learn more about implants in the Billerica, MA area and how the compassionate team at Crosspoint Family Dental can help you find the right treatment plan.